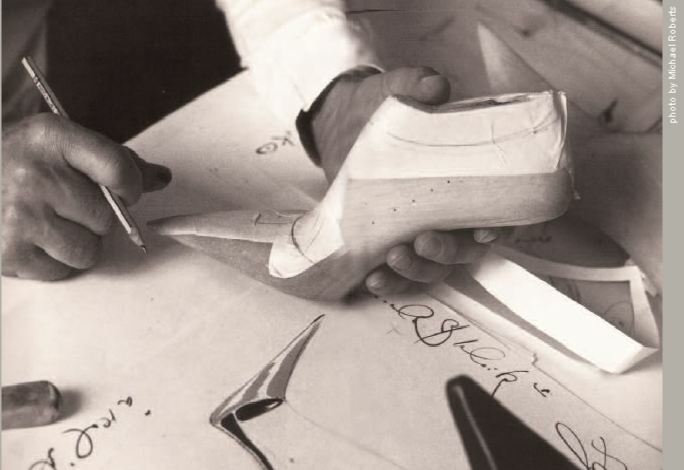 Manolo at work, from the Blahnik website: http://www.manoloblahnik.com. Photo by Michael Roberts. The fashion industry has a natural inclination to get stuck in, which means the recession brings extra value for fashion lovers. Not all creative practitioners are in such a reciprocal, cyclical and constant conversation with their commentators and customers as fashion is. For many fashion designers, engaging with their markets is a joy not a chore. The future is bright for a part of the creative industries that has always known you must sell to survive and consumers are king. The art world, (and I am being careful what I say here as I am aware that at the societal, non commercial but vitally important end, funding is currently a much threatened life-line) which relies on funding to produce work more than fashion design and is feeling the sting of arts cuts, can take comfort from the results that come from drilling down into markets and creating very commercial work. When artists allow themselves to be challenged creatively by the demands of being commercial, as designers must, and that challenge involves creating original, evolving work that people want, artistic integrity remains at the fore and commercial is not a dirty word. Back to fashion. Creatively freethinking marketers at department stores like Selfridges, Liberty and John Lewis are demanding interactive, bespoke action from brands on site in a way which is awakening the best response possible from them – who are on the whole open to creative ideas as a matter of nature. And you just get the feeling that marketers and brands alike are enjoying themselves so much more now there is more risk and more demand for “tactical cuteness” (a phrase coined recently by Stephen Green at MJ Media), essentially meaning not much money to shore up campaigns and yet everything to lose. The age old rule is, creativity cannot thrive in a limitless brief without restrictions, and needs limits to push against/operate within. Brands are competing harder than ever for a share of the market, which in creative industries creates the best work around. Currently, on the line, everyone is benefiting. Get Manolo Blahnik to sign his book for you or as a Christmas present for a shoe obsessed loved one at the Design Museum on 29th November, see this link for details.